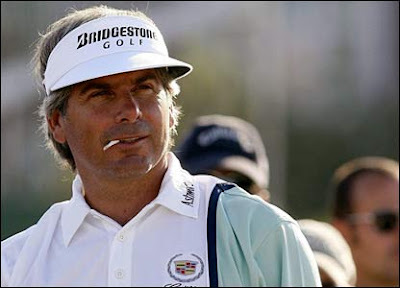 I'm sure Fred Couples has given away thousands of golf balls during his long PGA career. I just happened to be watching this afternoon at the Northern Trust Open at Riviera as Couples handed a young spectator yet another one of his golf balls as he moved from tee to green. The camera showed a big smile on the face of the recipient as Freddie continued on his way to the next hole. It was really just a small gesture on the part of the golfer, but what struck me was that it was an enormously big deal to the young fan. One he will absolutely never forget. With all the negatives that sometimes accompany the world of sports, it really is nice to see good things, regardless of their magnitude. The significance of a gift is always determined by the recipient. A simple flip of a cut golf ball to an unsuspecting young guy turned out to be quite significant. Thanks, Fred Couples!